No offense, canines, but cats are cooler. They even have their own holiday. At least on Instagram. Whether you regularly post #caturday pics, are an aficionado of #catsofinstagram or simply love your pet, chances are, you want the best for your kitty. Kitty, of course, would rather sink her claws into the tempting fabric of your mid-century rocker chair, or drink out of the toilet bowl instead of the Versace pet bowl you saved up for. But hey, this doesn’t mean you give up on getting the cuddly critter’s crib all pimped out! Here are 7 must-haves every cat lover must own. Cats climb and that’s an understatement. 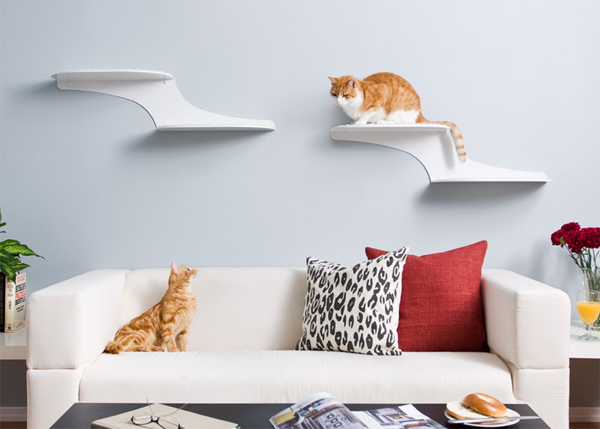 Instead of your credenza, wouldn’t your rather have them pounce onto “clouds?” These mega-strong little Cat Clouds Shelves not only look Space-Age smart, they’re also highly functional. As The Refined Female explains: “Cats appear to be floating on clouds.” We can get behind that. Cleverly named, cleverly designed and cleverly marketed, this Cat Bed/cat cave/cat home is so epic, its sellers promise that “Your cat is definitely going to give up her plans of killing you if you buy her this hammock.” Made of cedar plywood, it even includes a pillow. 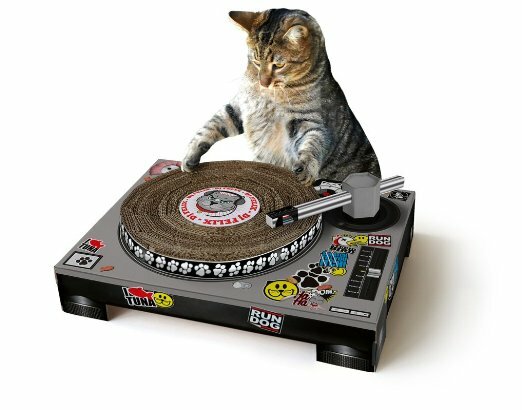 Will your cat love it? We cannot guarantee that. But you certainly will! A few years ago, people started going gaga for all things boho, including Native American-inspired headgear, ponchos and teepees. The trend is still going strong. 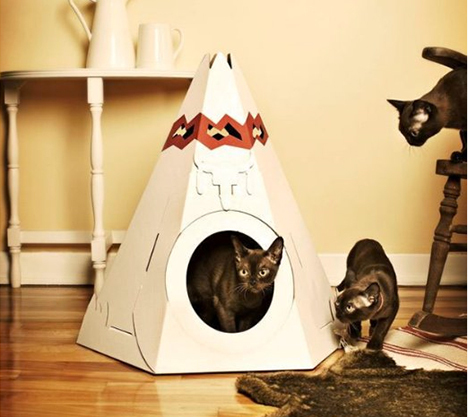 A Cat Teepee is an architectural marvel. We think your cat will agree. 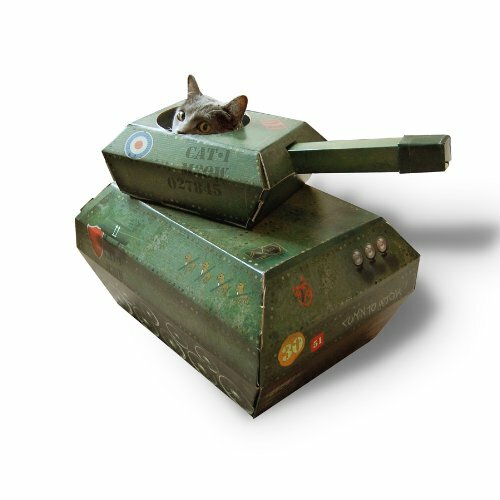 Alternately, if your pussycat has more royal inclinations, get her a Cardboard Cat Castle or, if feeling more manly than #pussyfooty, a Tank Playhouse is perfect for your lion-hearted little tiger. 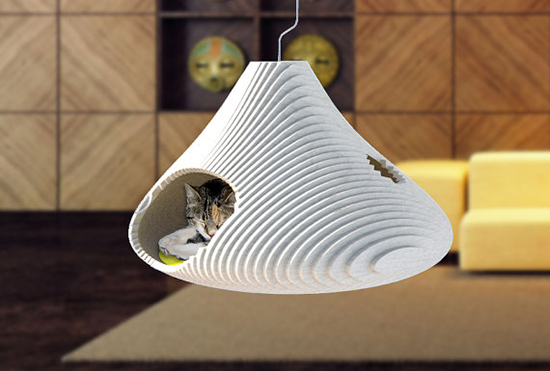 For the minimalist mouser, a modern pod sanctuary will appeal to ’60s vintage leanings. 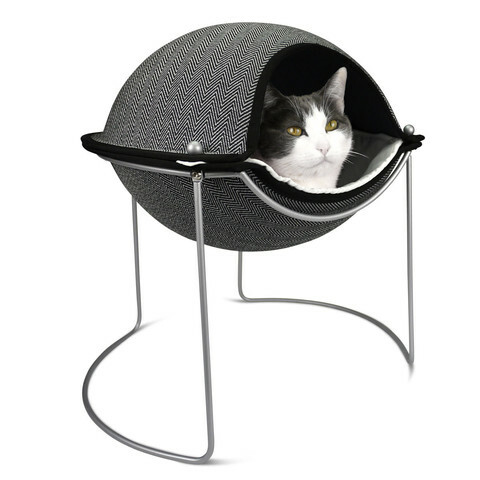 This woven herringbone Cat Pod with a silver frame will look gorge in your cat-friendly Frank Lloyd Wright domicile. Ha, kitty. Psych! Go ahead and do your little business in this Hidden Cat Litter Box. 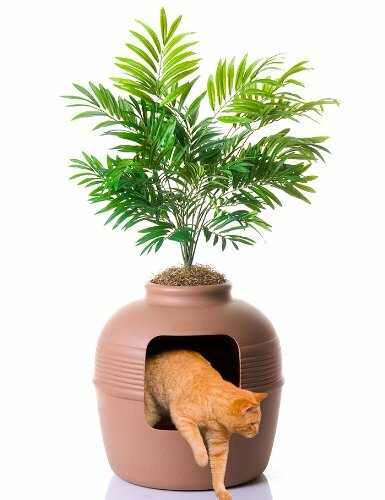 Silly little kitten doesn’t know it’s a totally fake litter box made to look like a real clay pot plus plant. Brilliant! 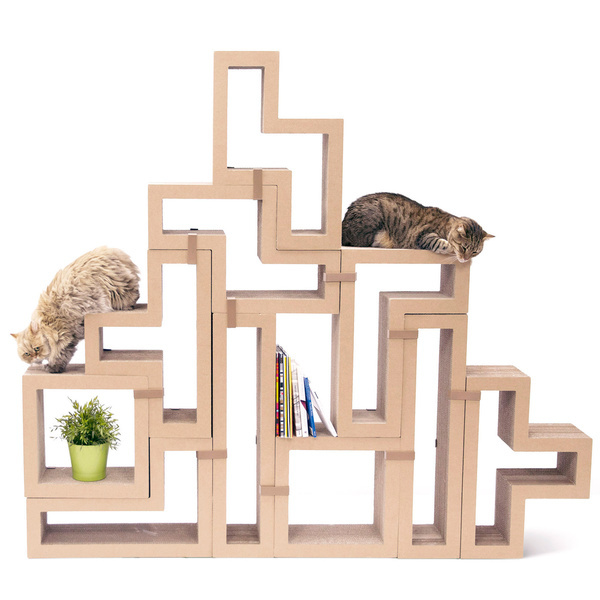 If you loathe those ugly, cheap-looking apartment-carpet covered cat trees, you will love this stylish modular cat furniture creation made from 100-percent recyclable, non-toxic cardboard. Called Katris Cat Furniture (not to be confused with Katniss! ), it allows for loads of combinations for ultimate cat play. Crookshanks can scratch that itch to his heart’s content with this nifty Cat Wall Scratcher. 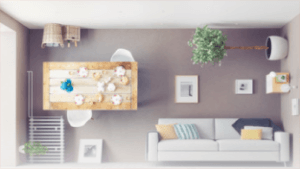 It’s easy to hang, easy to clean, and, most importantly, not at all ugly!